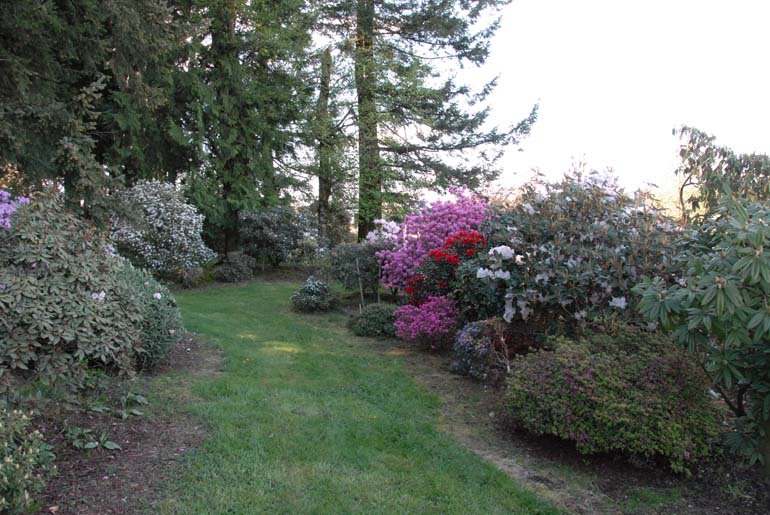 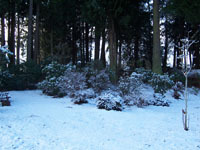 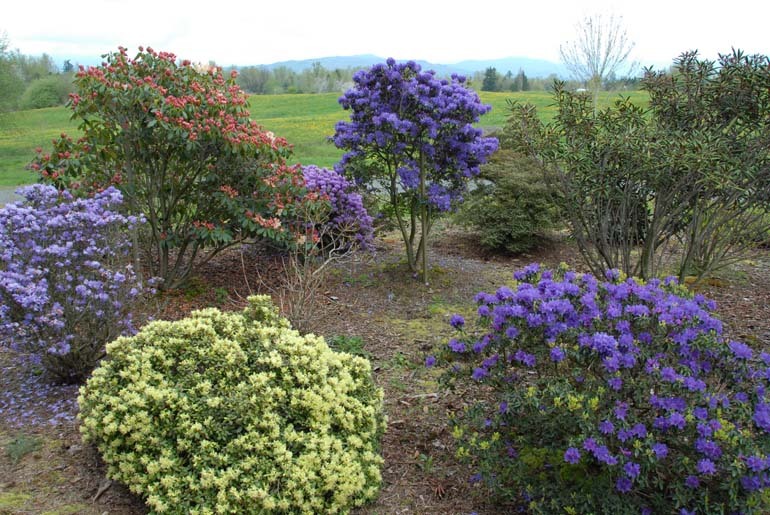 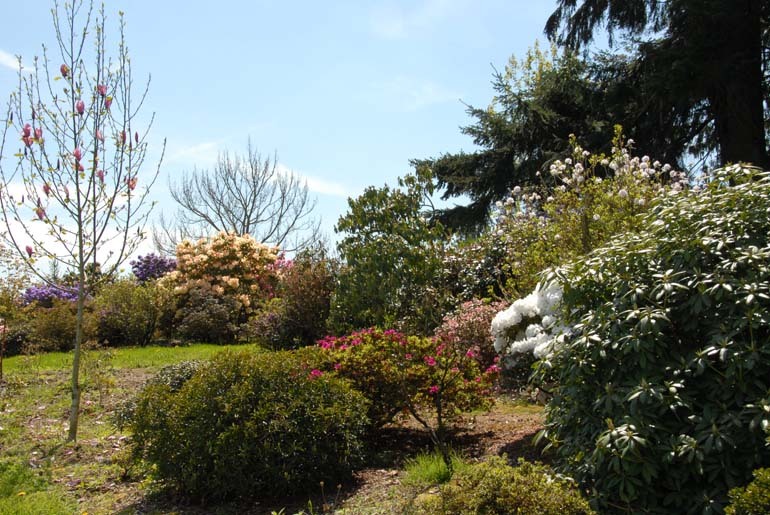 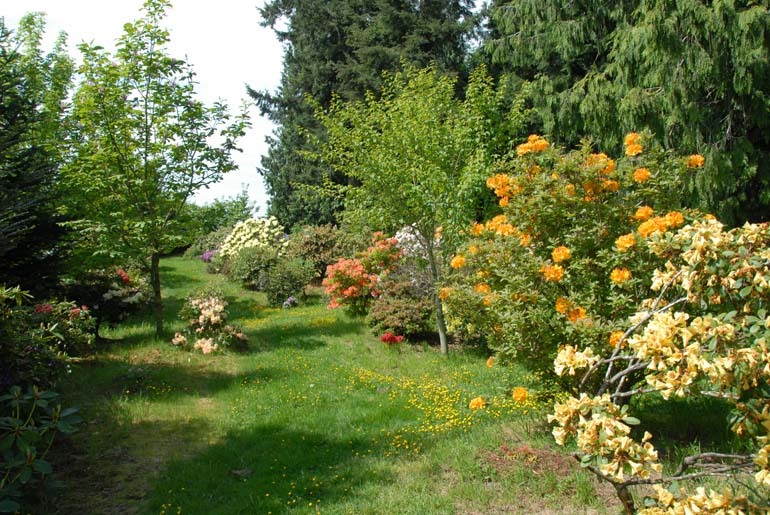 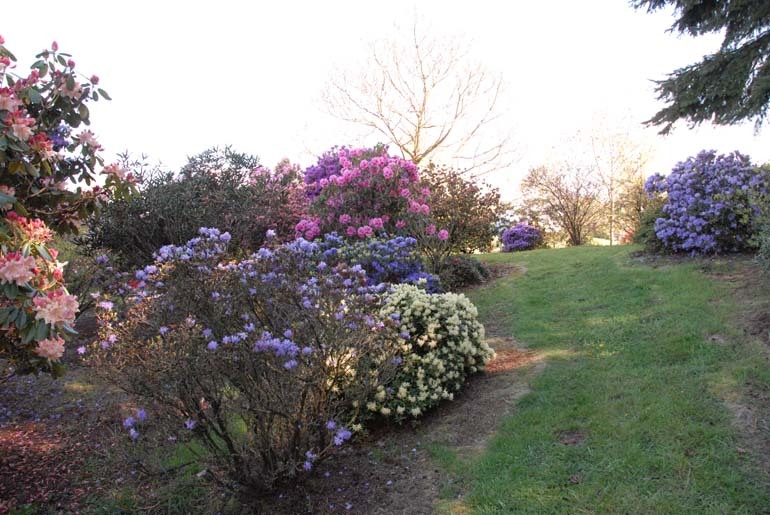 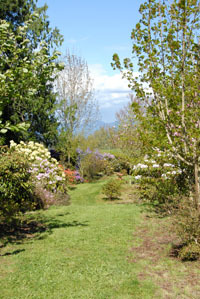 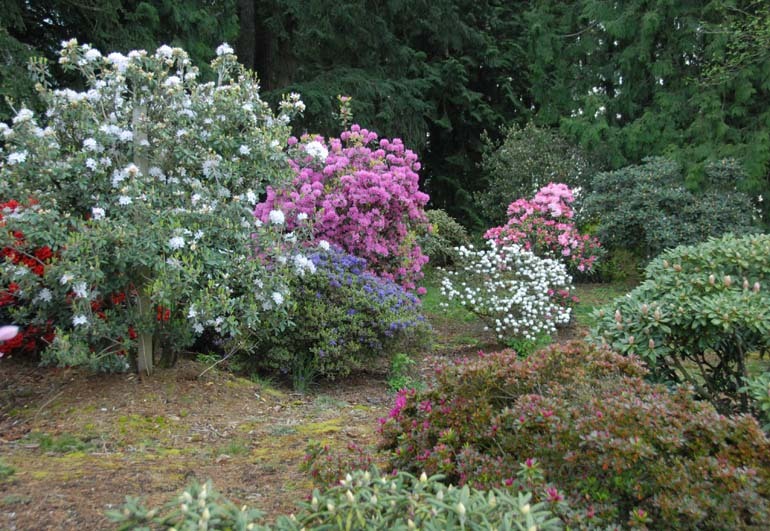 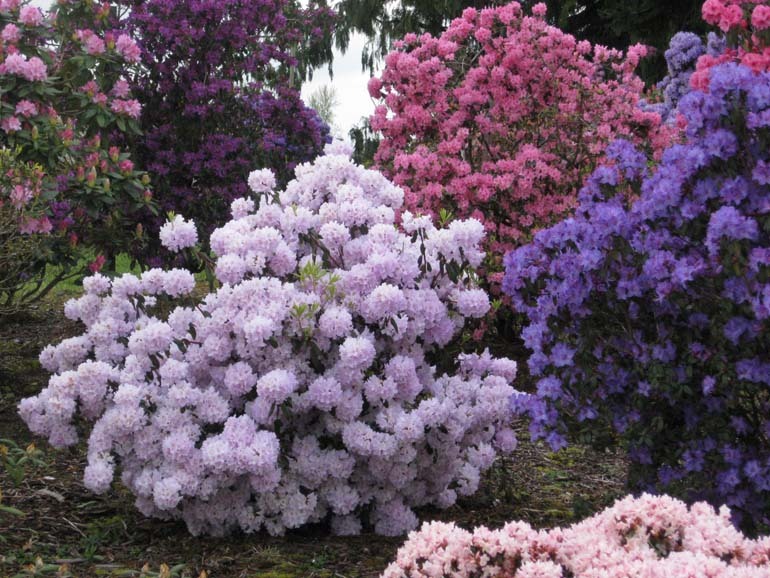 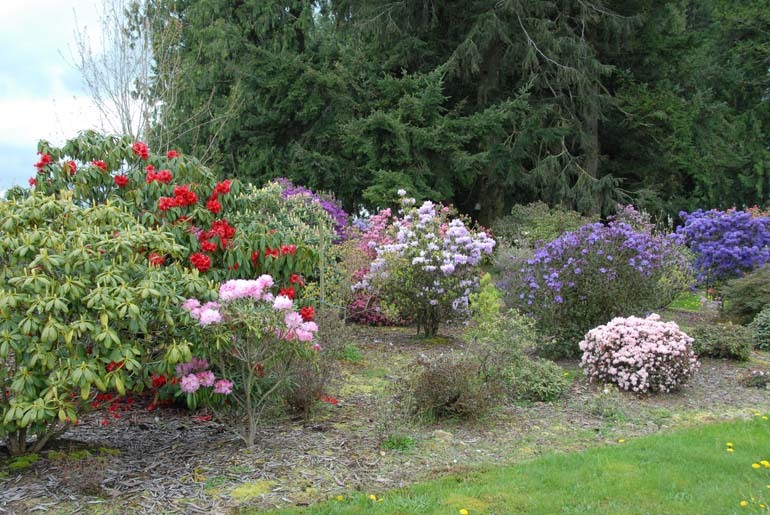 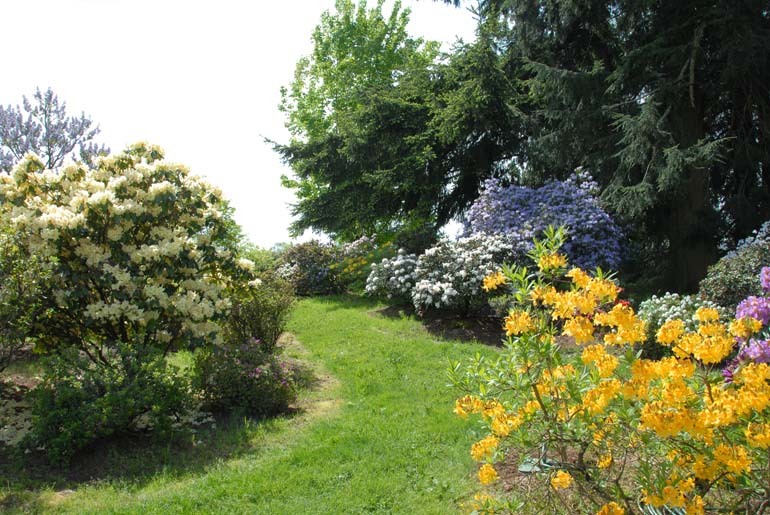 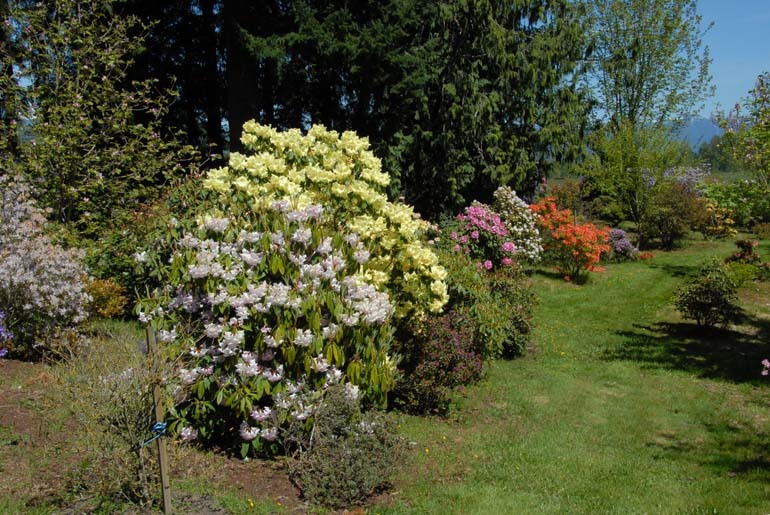 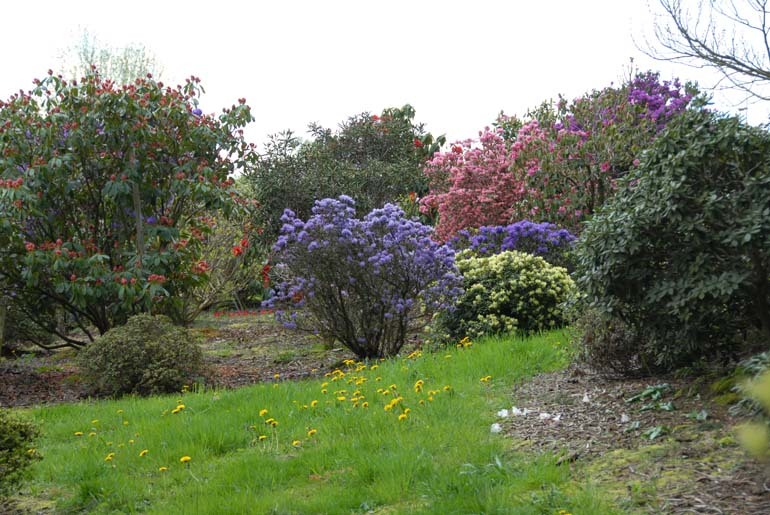 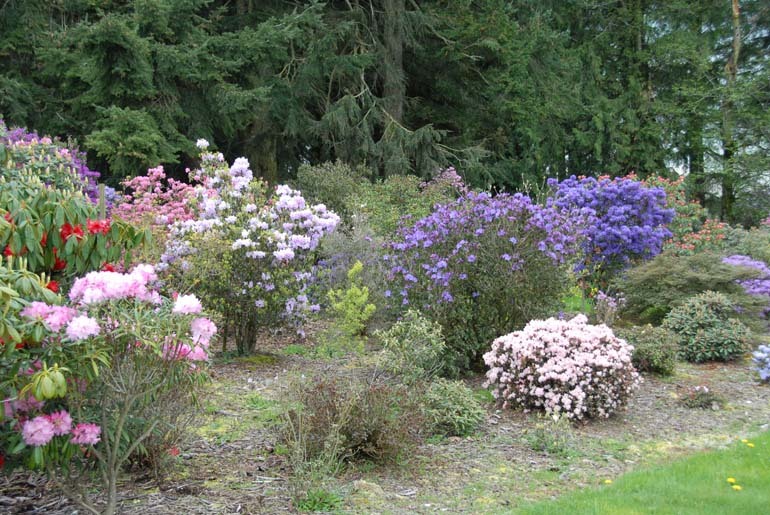 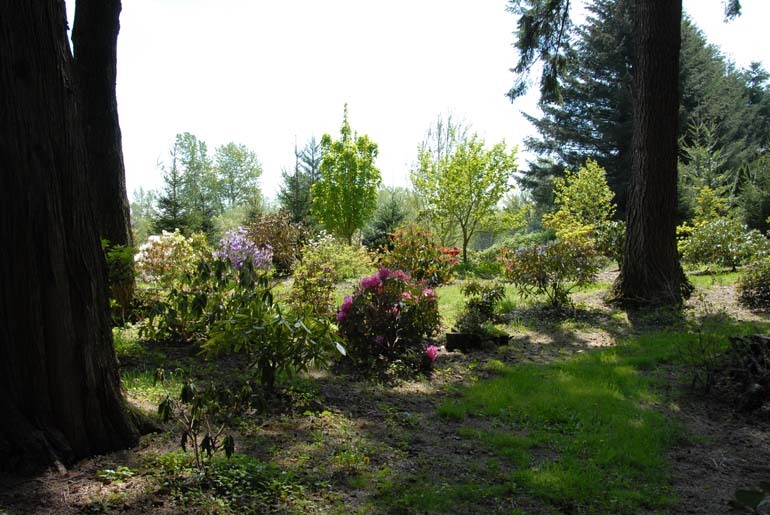 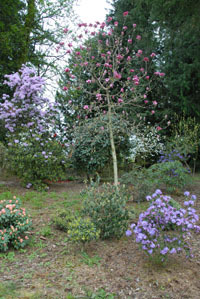 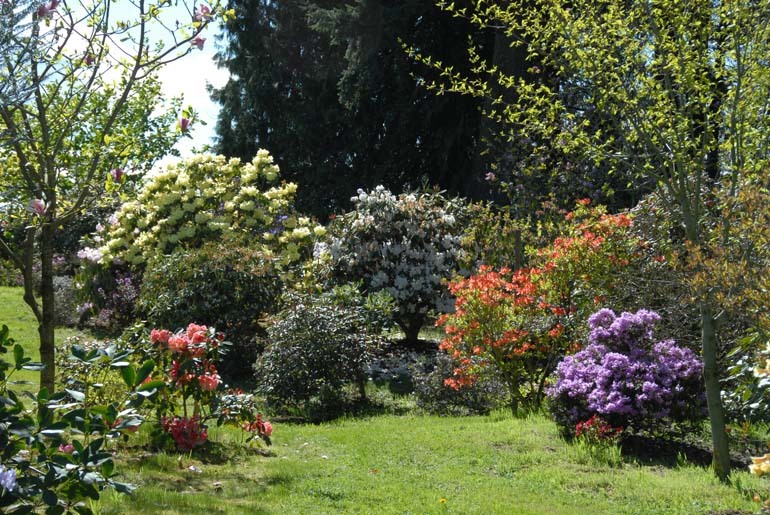 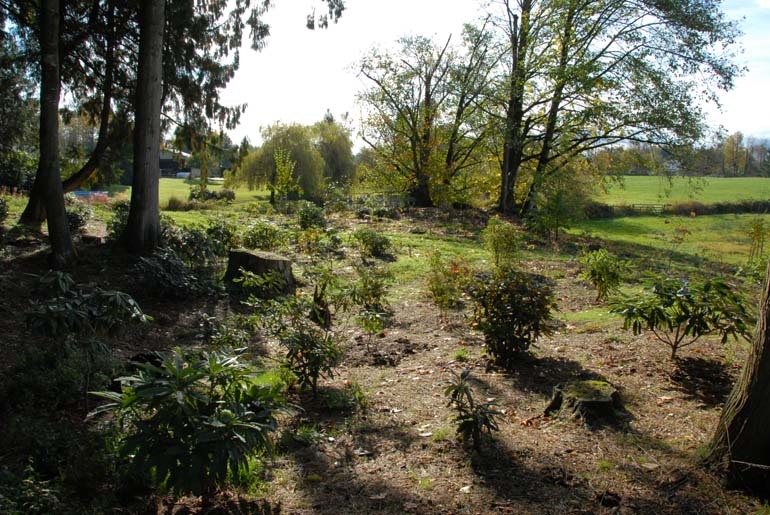 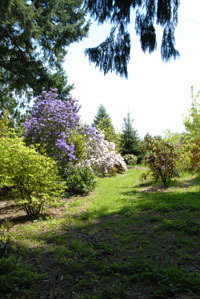 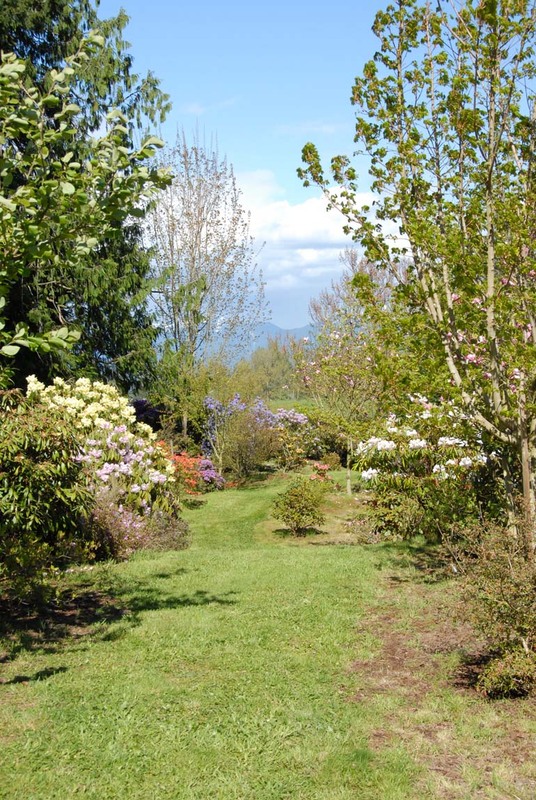 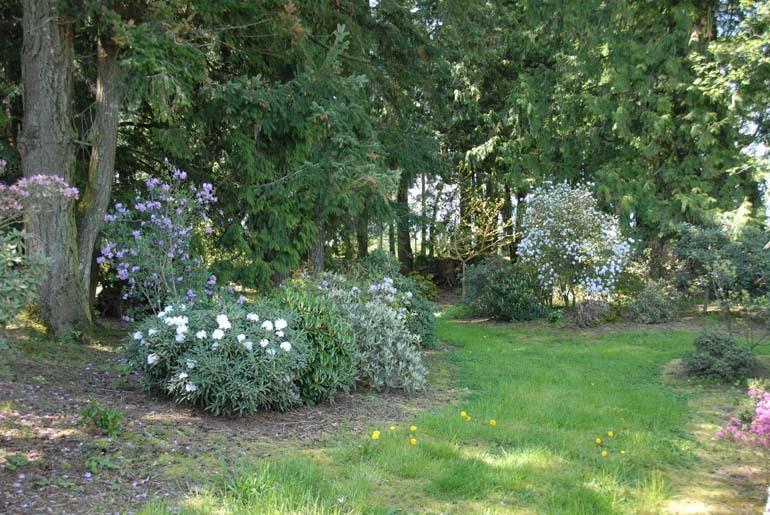 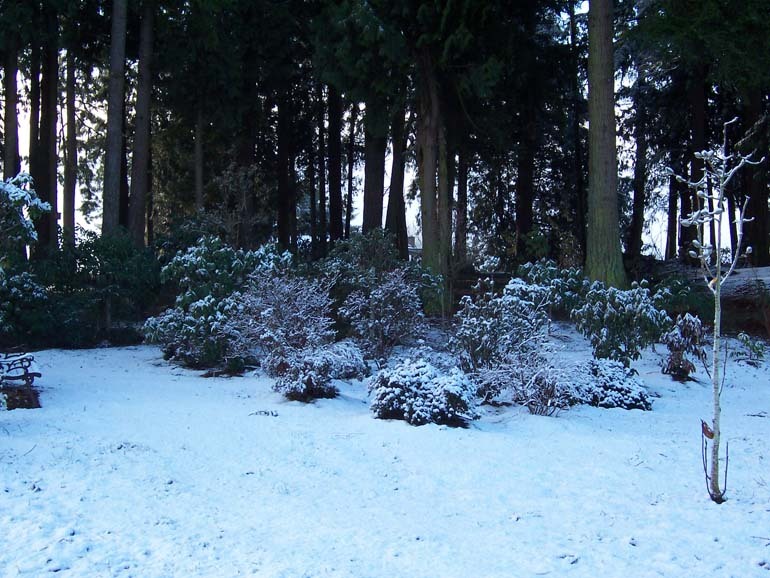 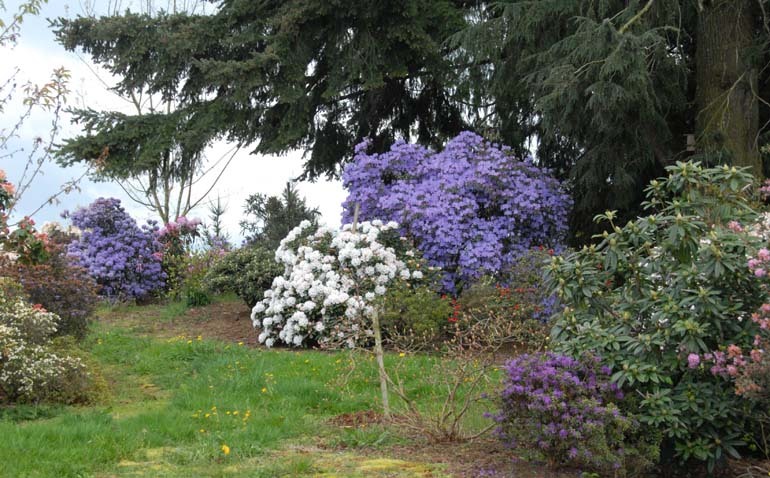 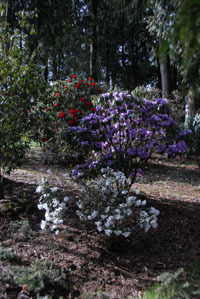 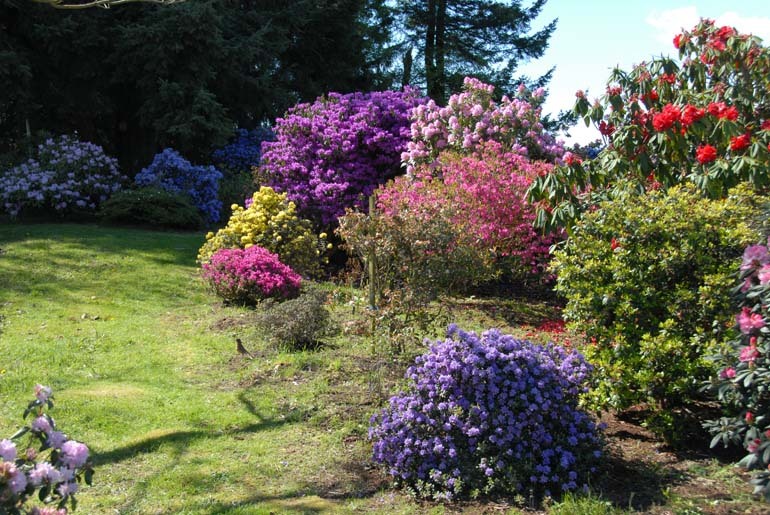 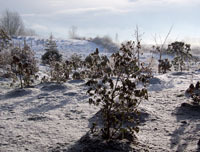 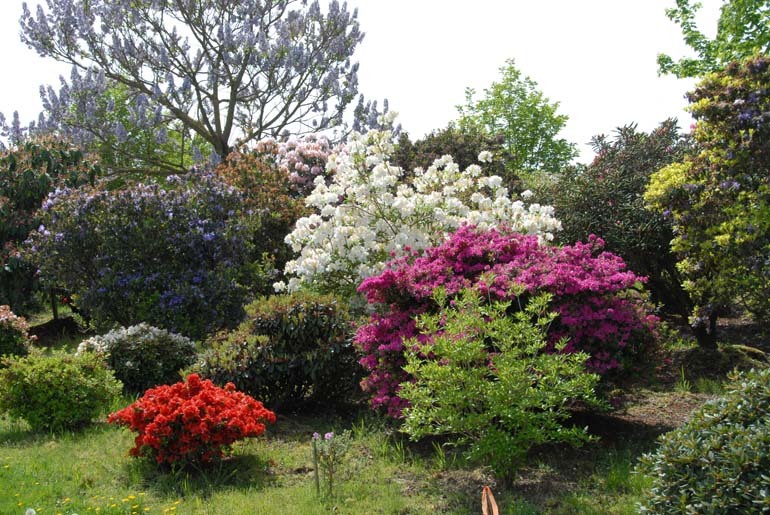 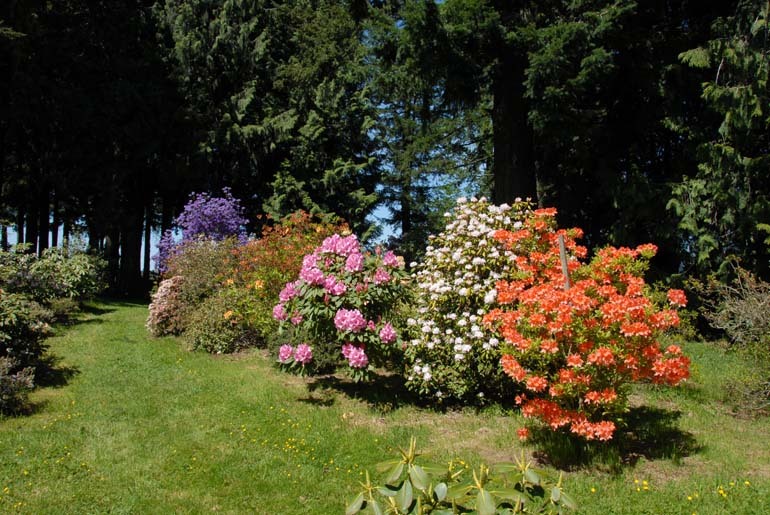 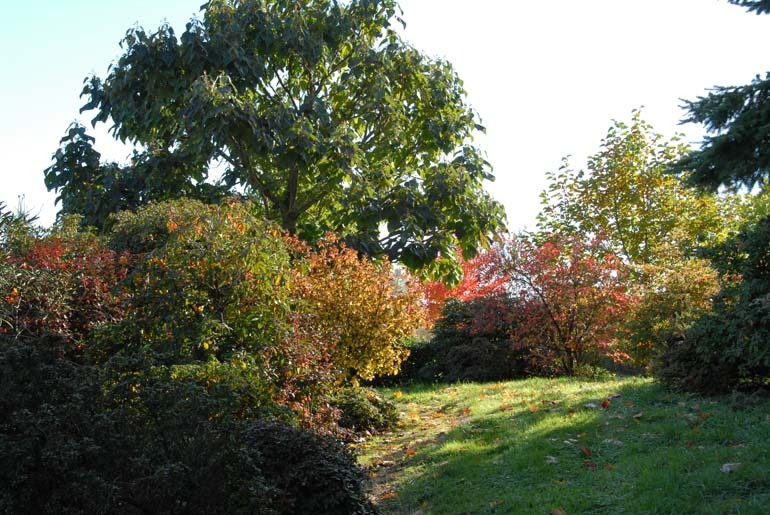 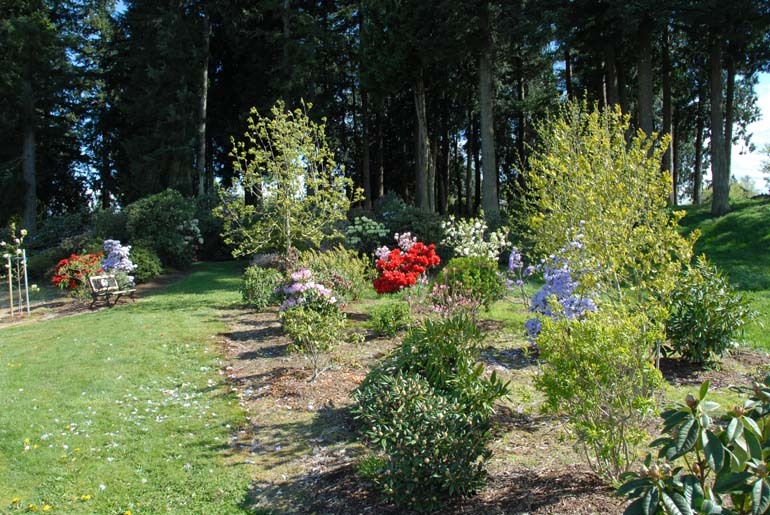 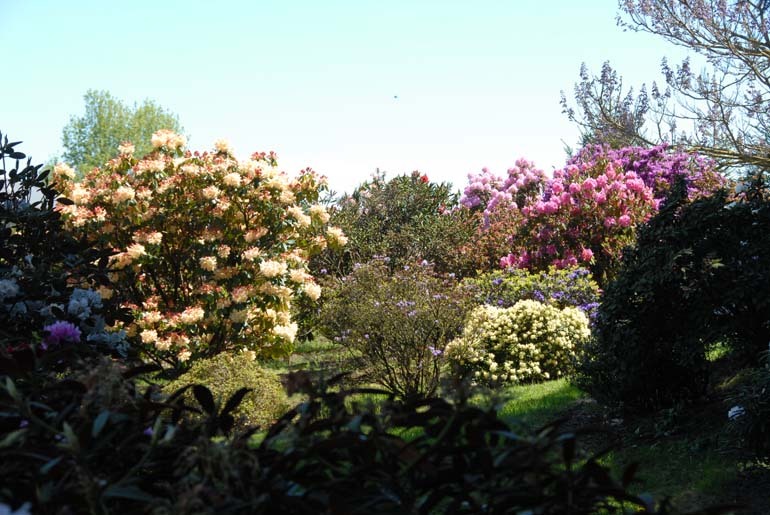 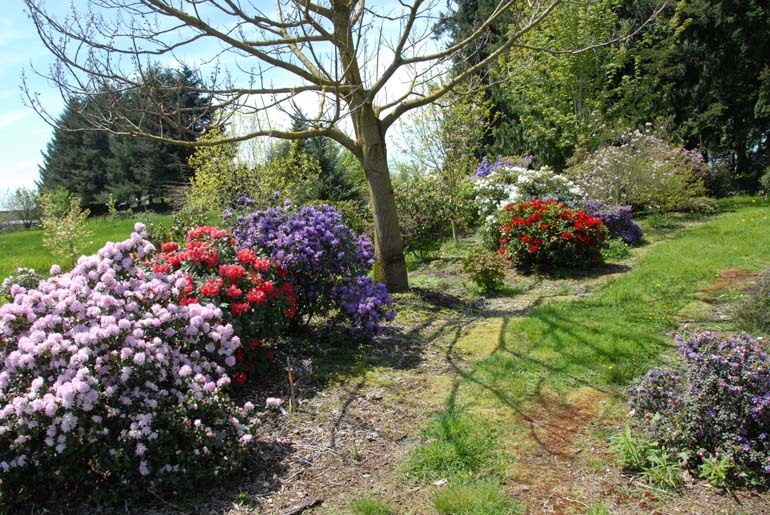 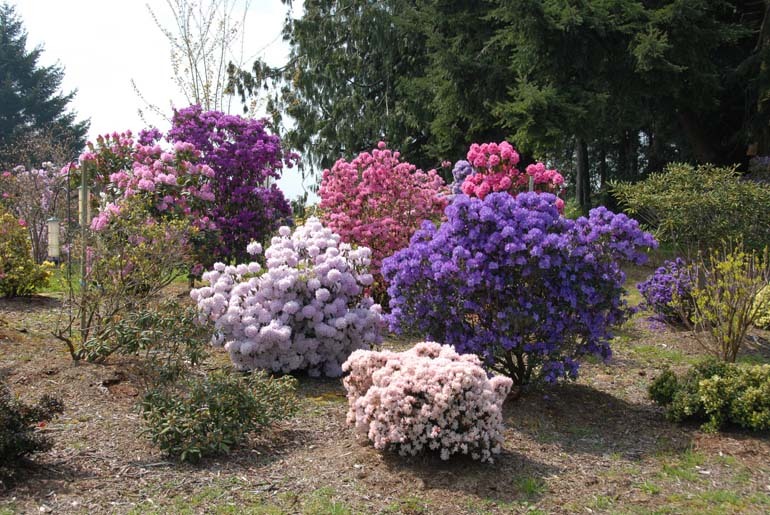 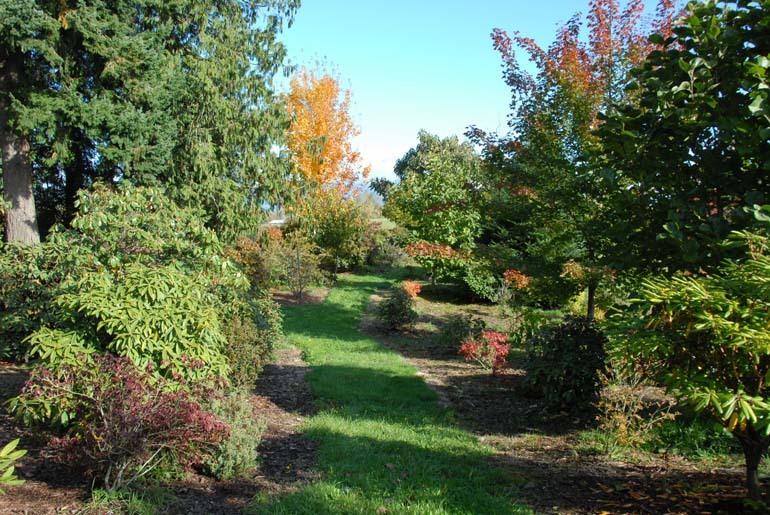 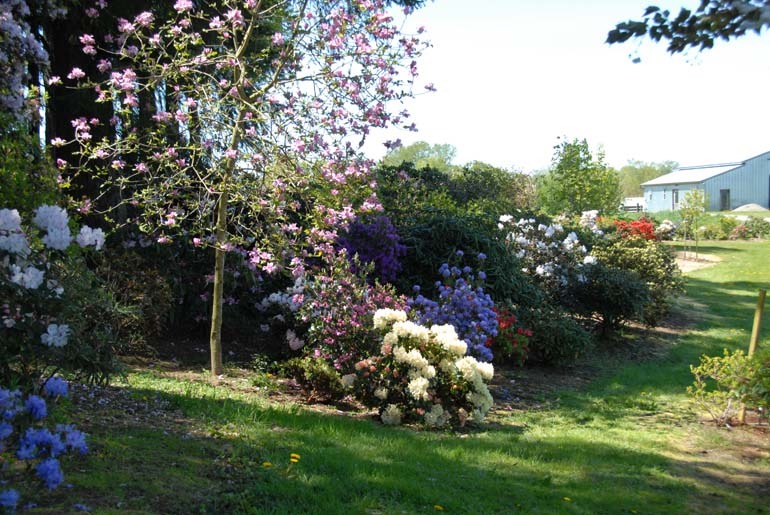 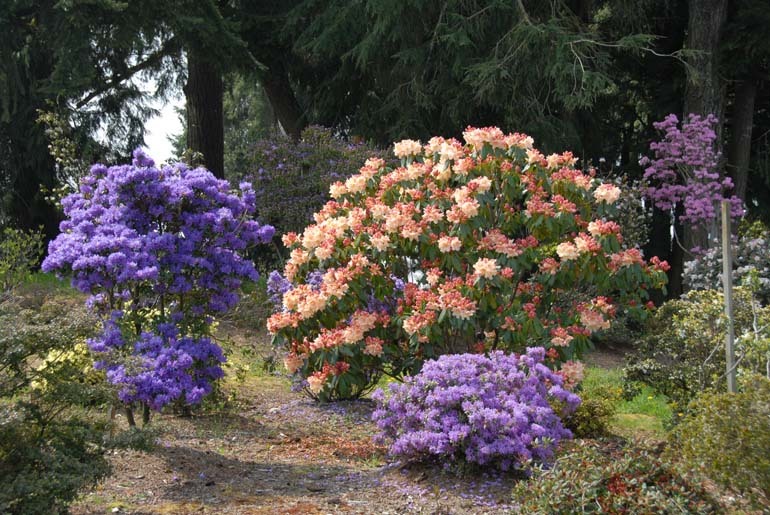 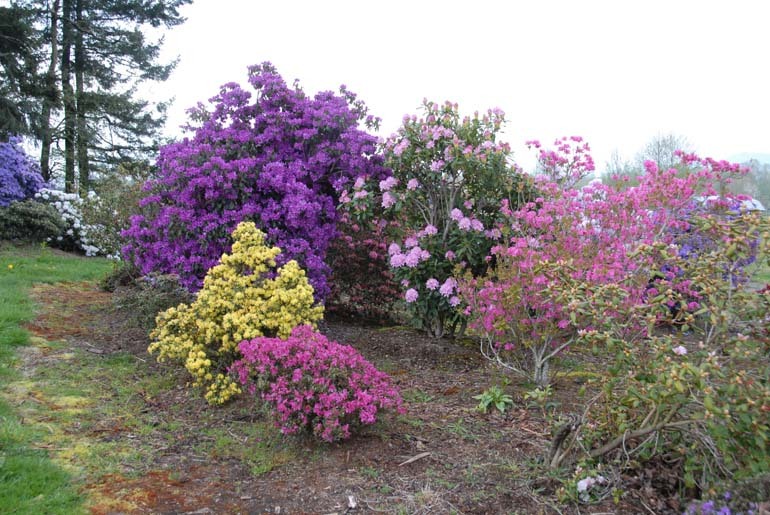 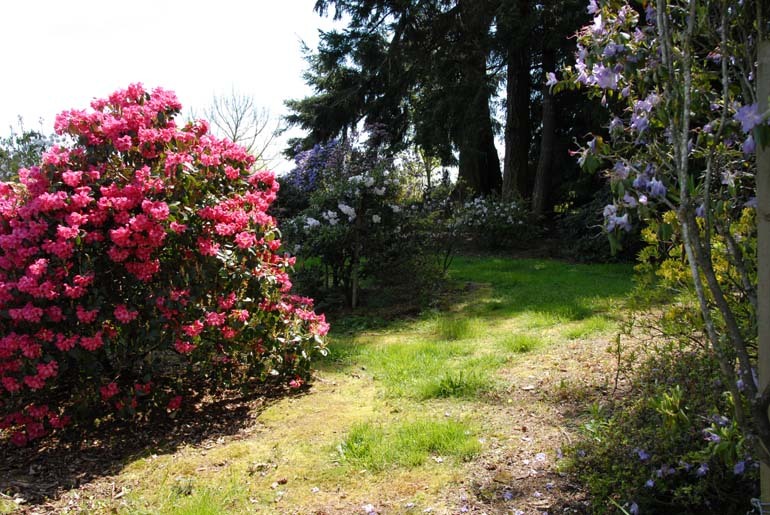 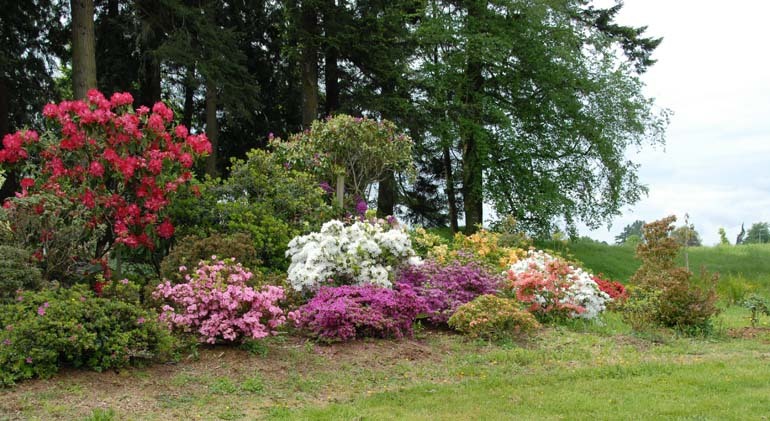 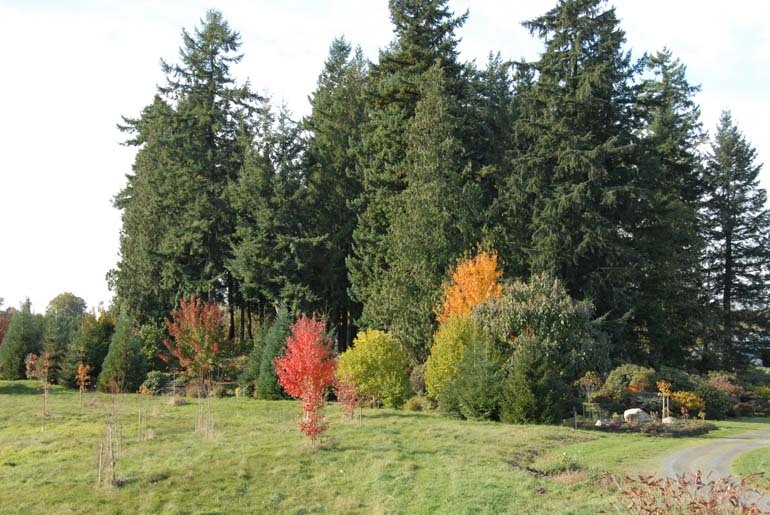 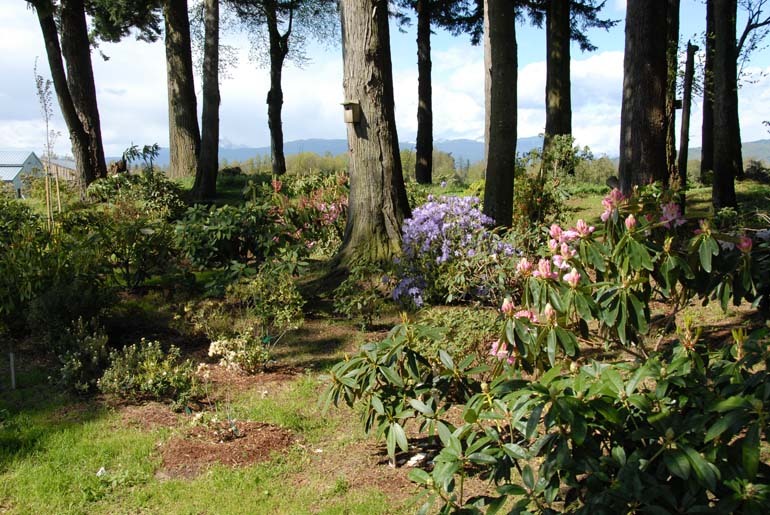 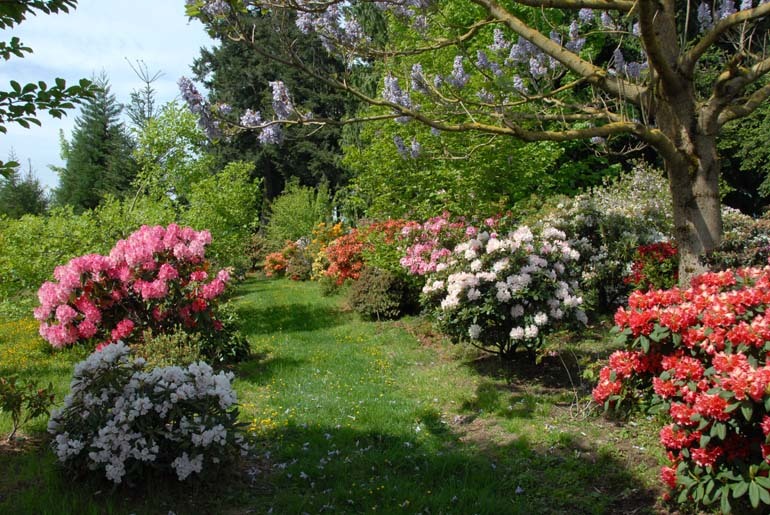 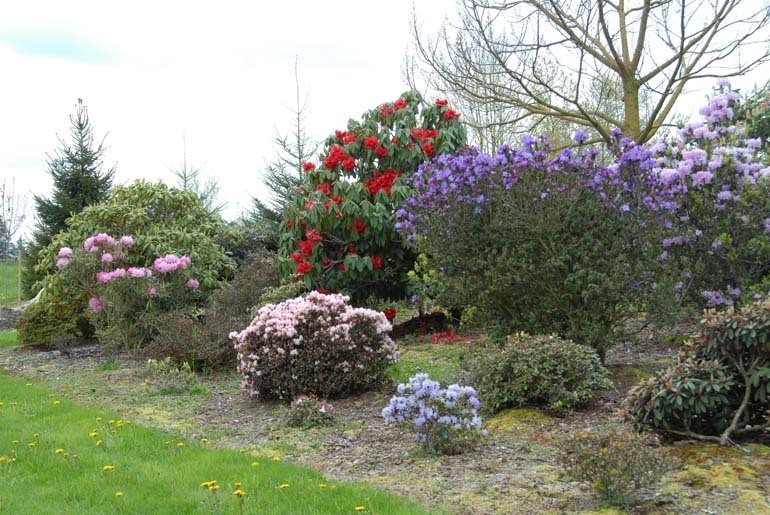 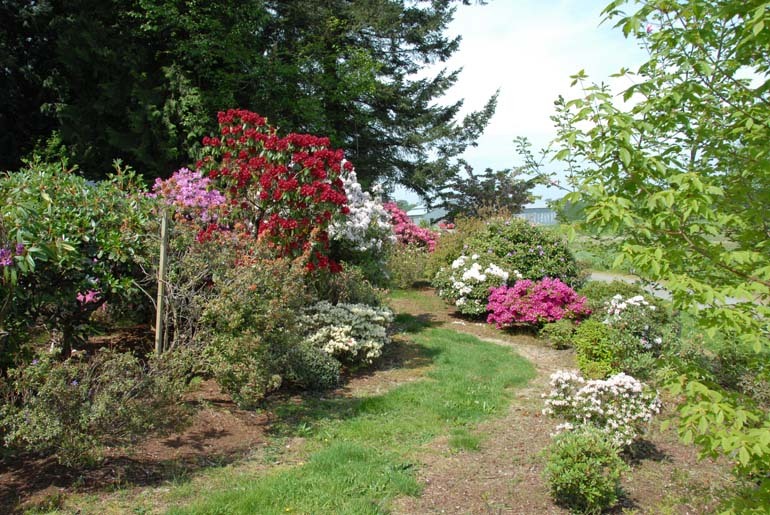 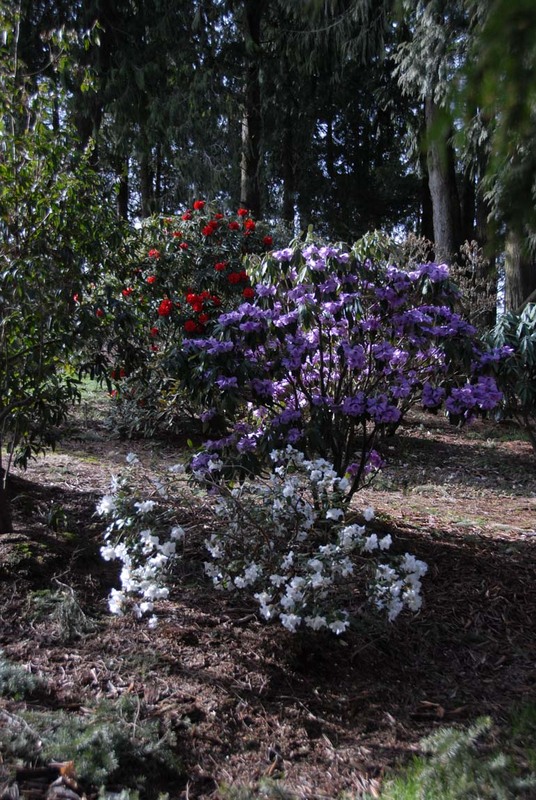 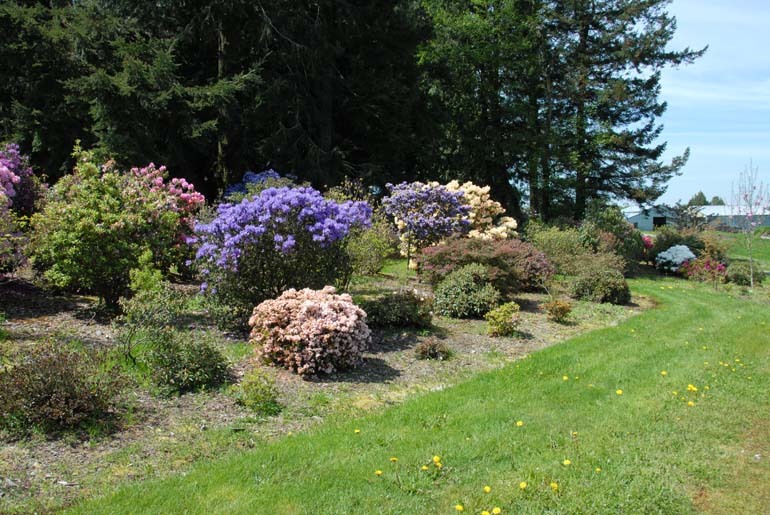 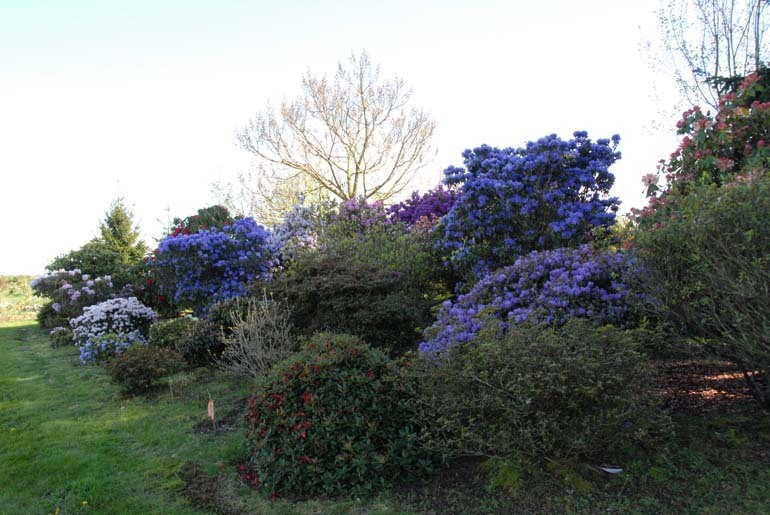 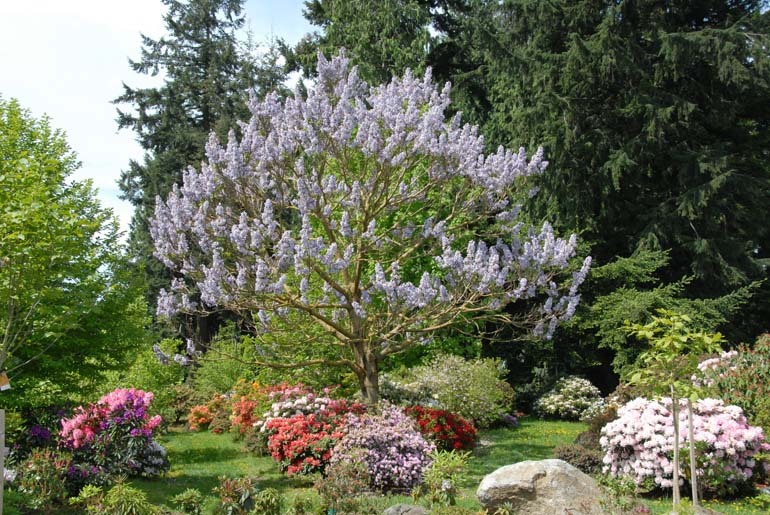 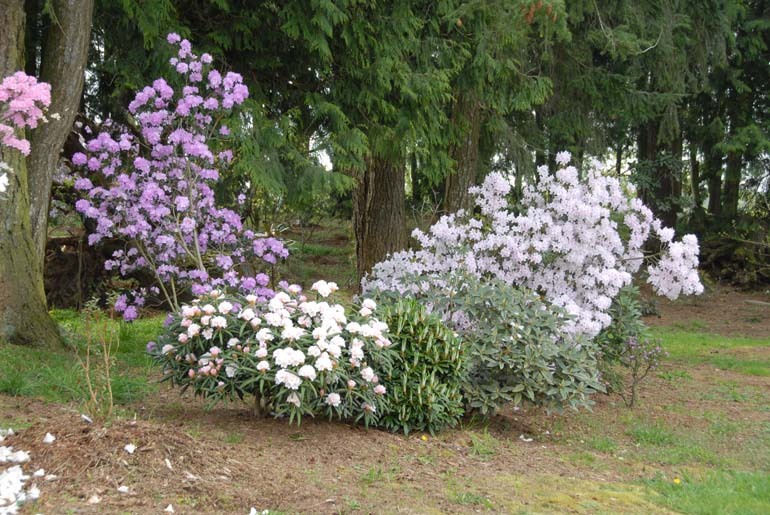 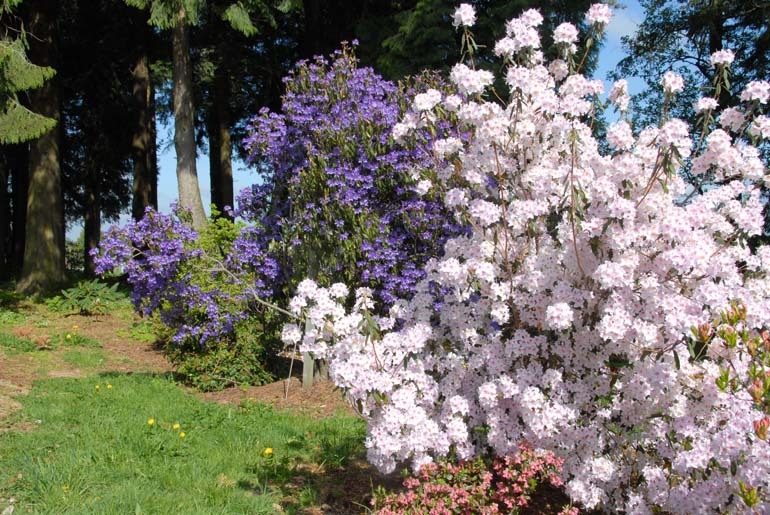 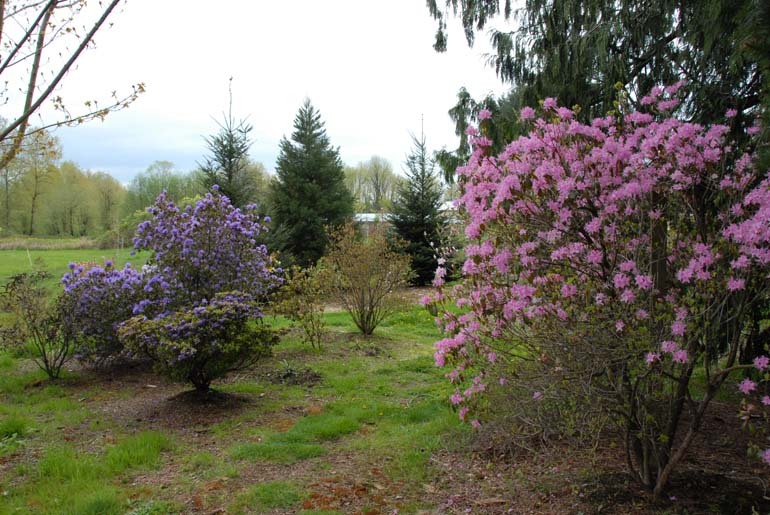 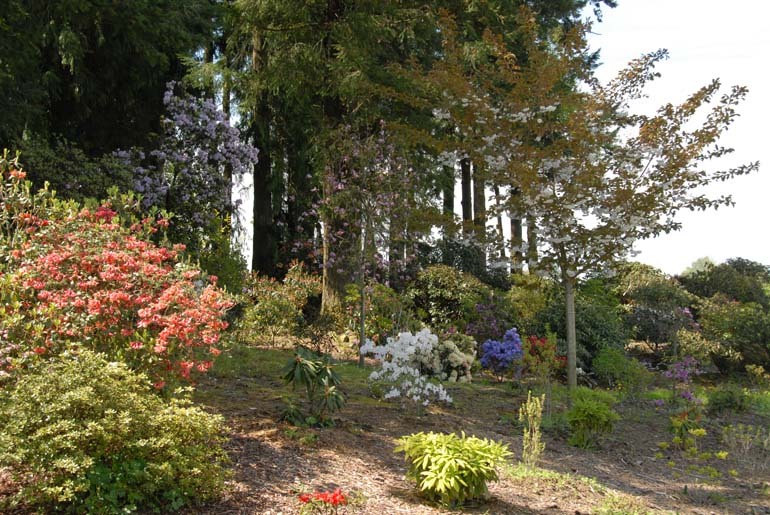 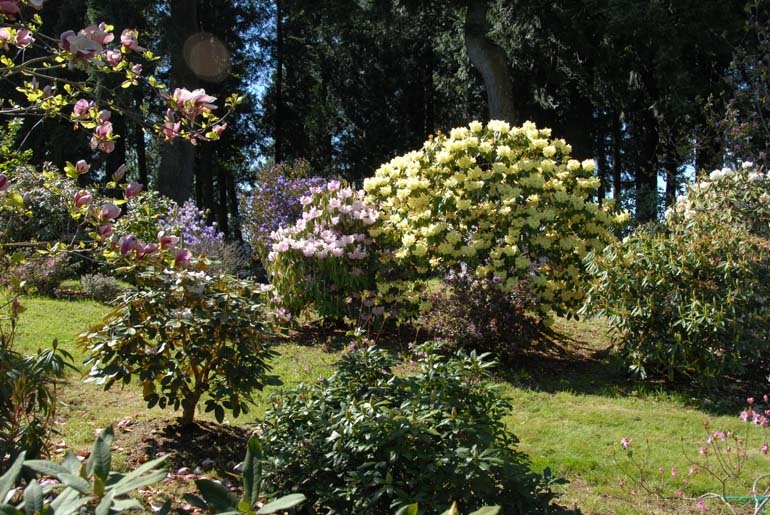 We now have something like 1500 rhododendrons and azaleas, 1100 of which are species, scattered informally over several acres in and around a patch of old fir/hemlock/cedar woods. 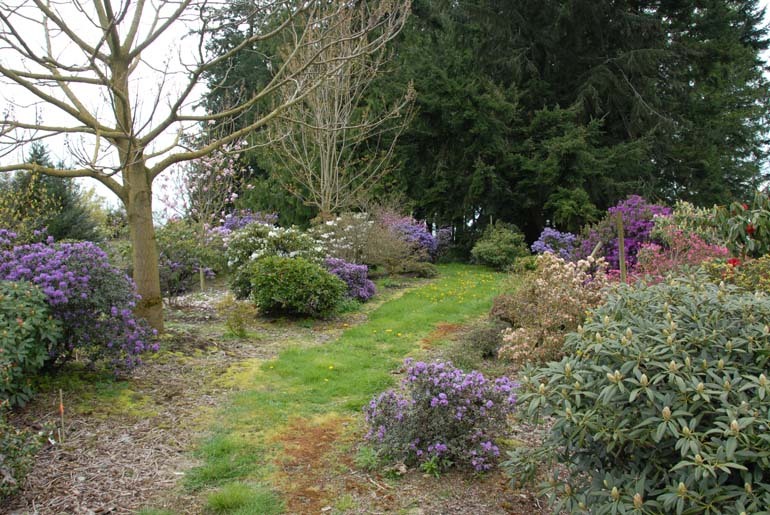 Shown below are some random scenes of the garden, taken over several years. 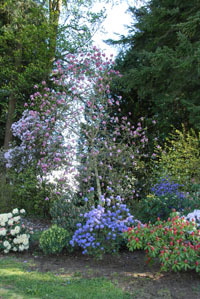 Click on a picture to get a larger view.